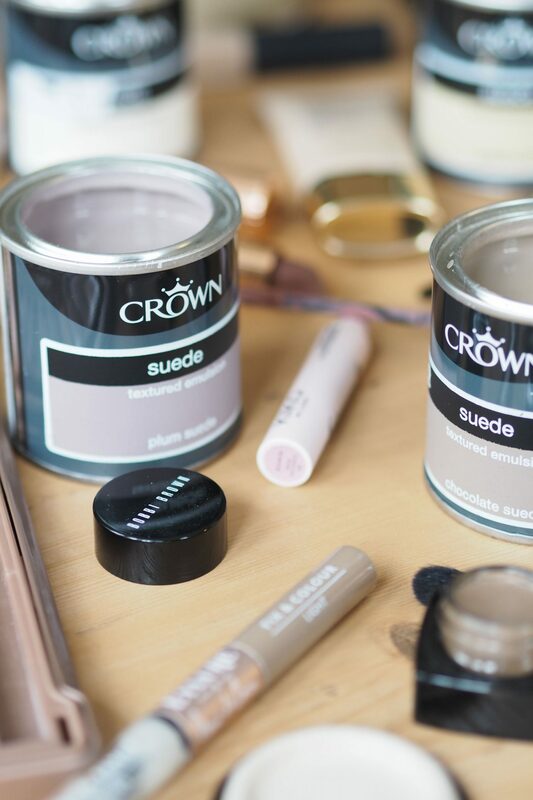 I’m so deep into decorating mode at the moment that when Crown got in touch my head went straight to paint charts and colour schemes for one of the rooms on our list to paint… but the big surprise was the idea they had in mind to combine paint shades and beauty! 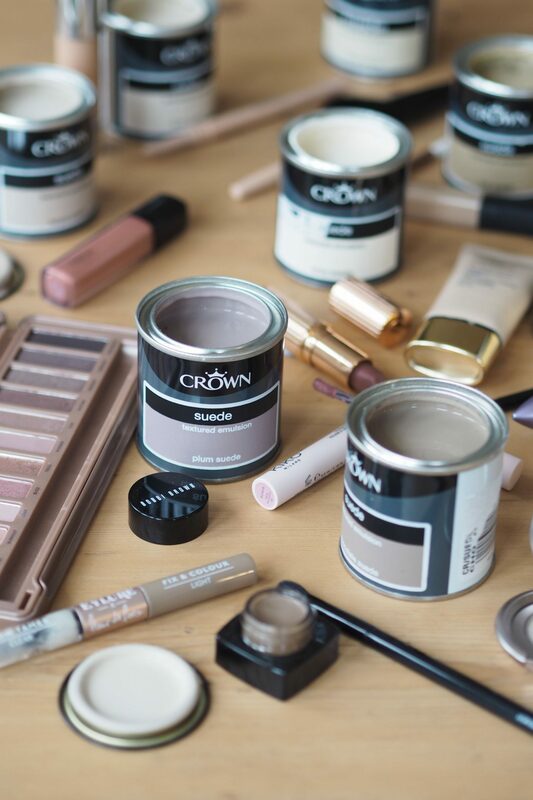 Crown has two new collections that are all about on-trend textures. The idea being for me to use the two collections as inspiration for a beauty look. I decided to create two make-up looks around the shades. The two new collections are a really fresh take on traditional wall paints. Using texture and finish instead of just the shade to give an interesting twist. There’s a metallic collection with a selection of shades, each with that metallic finish. Then there’s the suede collection that takes familiar looking neutrals with a little something extra for a shine free, textured effect. The paint version of suede. The thing that appeals to me most about both collections is that at the core of it, the shades are fairly ‘safe’ neutrals. I’m happy to admit that I approach decorating in a similar way to my make-up – I like to keep things mostly neutral. 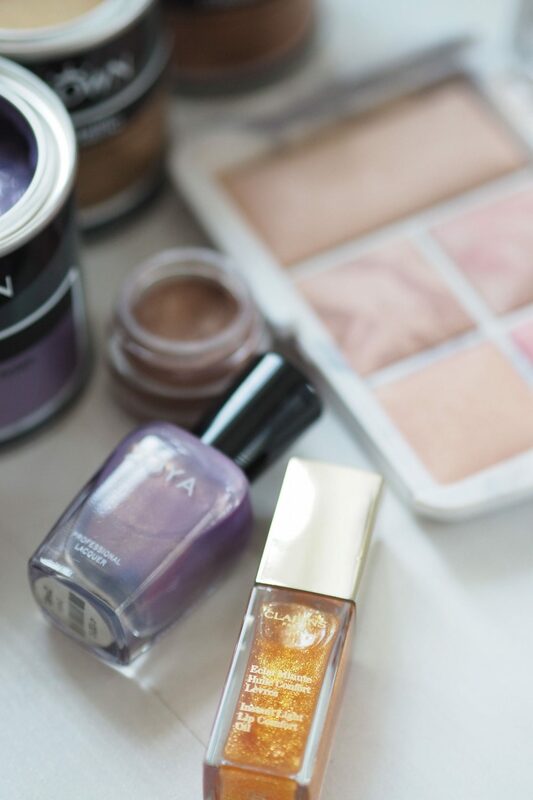 If I do go for a bold touch it’s usually in a smaller detail – nails, lipstick or eyeliner. But overall, fresh and natural is my preference all the way. This suits me for the approach I took to the two looks I’ve created. 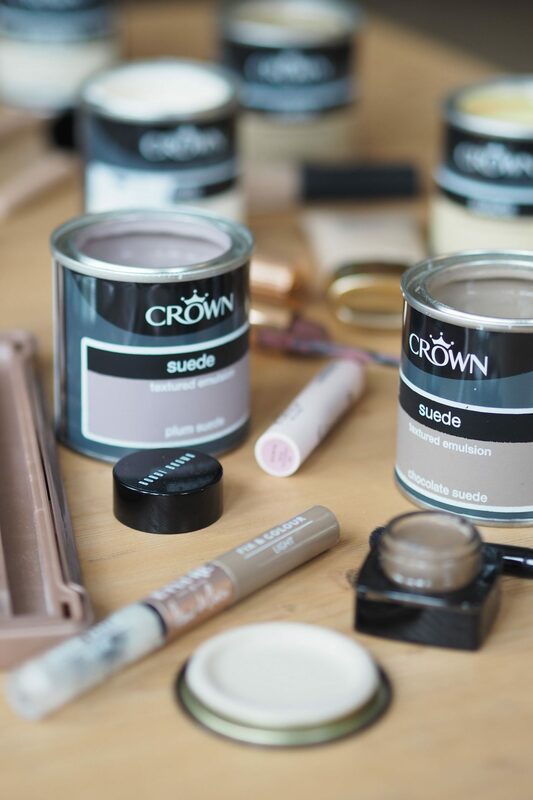 The Crown suede collection has eight shades that, when dry, has a suede-like texture. The eight shades include skin-like tones of Ivory Suede, Cream Suede and Fawn Suede. Plus a selection of Taupe, Chocolate, Golden and Tan suede. Also a mauve-like shade of Plum Suede. 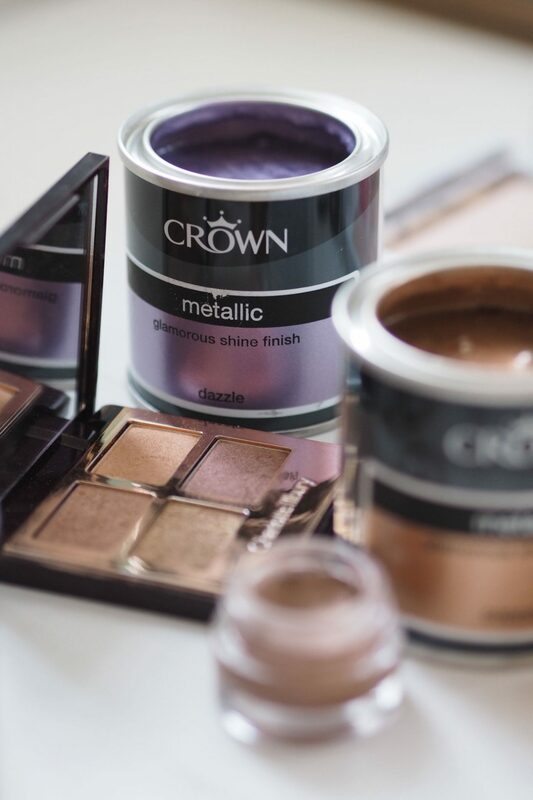 The Crown metallic collection has five shades, each of the key metallics – Sophistication (a silver), Striking (a soft gold), Millionaire (a rich gold), Copper and Dazzle (a metallic cool purple). Along with the new trend-led finish collections, Crown has a whole load of decorating inspiration. My favourite being a blush pink with the golden metallic polkadot. Now I just need to persuade Ollie that metallic polkadot is the way forward. The best thing about paint – like make-up – is that it’s not a huge deal to change it. It can always be painted over, or washed off (make-up that is – not sure paint would work as wash-off). It’s good to have some fun with it (applies to both) and break out of the too-safe neutrals. 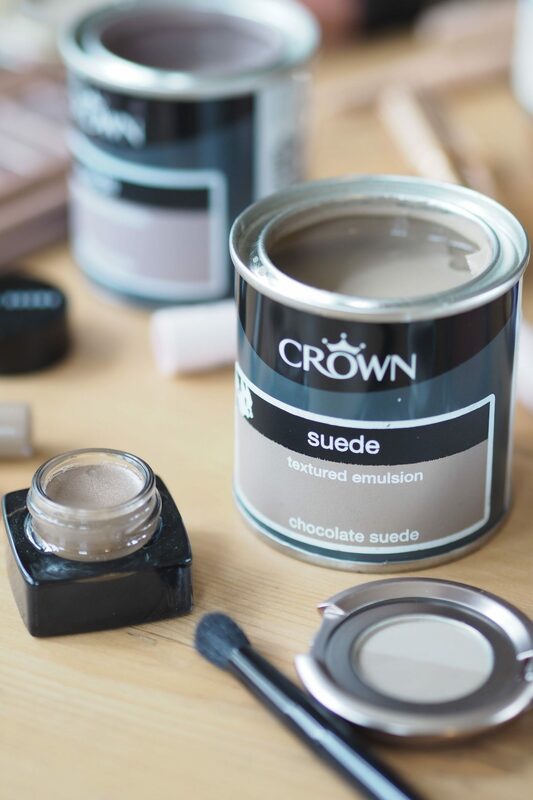 Why not try a suede finish version of a neutral shade you would have other wise have opted for in a silk or sheen finish? Add some metallic details or touches to enhance your own metallic features that you might be using to decorate the room. The Crown Paints website is full of inspiration – the metallic polkadot look is just one idea. Well worth taking a look for more ideas of creative touches or colours you can try – sometimes seeing things in action helps spark those creative ideas! Whatever you try, it’s only paint! Why not give it a go? You look so nice on all of these pictures. & how amazing doesthat dressing table look!! Thank you! It’s gorgeous isn’t it!